Beautiful vintage piece of ceramics. 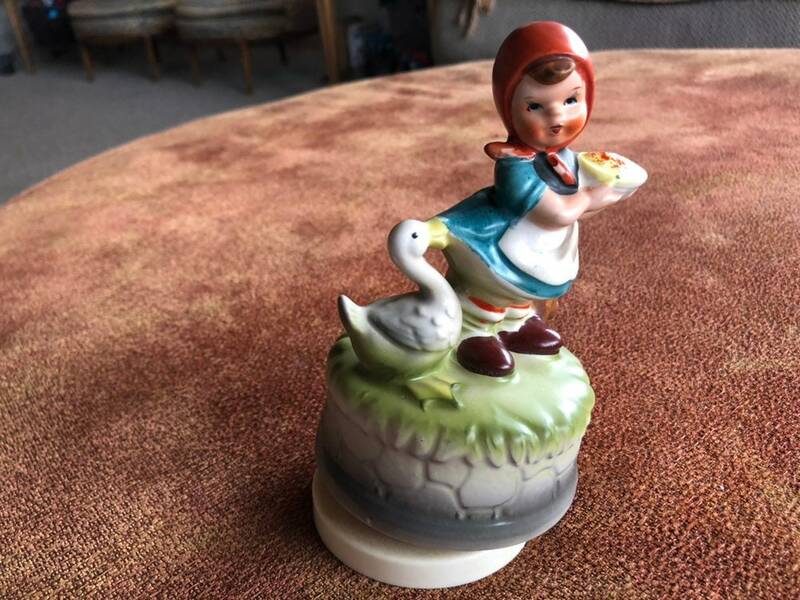 Hummel-like girl with a goose, as a playing music box. Adorable hummelesque country girl and her goose handpainted rotating ceramic music box. (Note, not an actual storage box) Painted in lovely autumn colors that make this precious figurine come to life! This precious little girl and her goose turns and slowly plays the tune "The Theme from Love Story". This piece measures approximately 6" tall x 3 1/2" wide and is in good vintage condition.